Bournemouth’s Premium Full Service Double Glazing, Home Improvements, and Building Services. Sophisticated and easy to use quotation software. Double glazing, composite doors, aluminium bi-fold doors, conservatories and much more. Trusted local home improvement experts with extensive industry knowledge. Which Trusted Trader, Checkatrade and Trustmark to name a few. Immaculate Home Improvements work in partnership with Sternfenster to offer a luxurious range of quality windows, doors and conservatories. Customer satisfaction is of huge importance to us. We want you to have the best possible experience when you choose Immaculate Home Improvements. We aim to offer the most appealing and affordable double glazing prices in Bournemouth and Dorset. Get a free online quote today for competitively priced windows, aluminium products, and conservatories. Immaculate Home Improvements offer our professional renovation and construction services throughout Southbourne, Tuckton, Bournemouth, Branksome, Penn Hill, Canford Cliffs, Highcliffe, Friars Cliff, Ferndown, Ringwood, Lilliput, Mudeford, New Milton, Christchurch, Broadstone, Talbot Woods, Sandbanks, Poole, Lymington, New Forest, Lyndhurst, Boscombe, Wimborne, Corfe Mullen and nearby Dorset towns. We will travel further afield for certain projects, depending on the job requirements. Please contact us for more details. We are proud to be Bournemouth’s leading home improvement and construction company, offering the most competitive prices for our complete range of services. Immaculate Home Improvements never involve third parties in our work, to help reduce the price. Our entire range of products are designed to stand the test of time and aid you in lowering your energy bills. High Window Energy Ratings thanks to advanced design and quality glass. Along with helping to reduce expensive heating and energy bills, our windows and doors are fitted with advanced stainless steel locking systems to improve the overall security of your property. Our advanced quoting engine allows you to calculate unique online prices for double glazing, doors and conservatories. Once you receive your quote, you can review it at any time. Our friendly team has received the highest levels of training to carry out all work to the best possible standard. We are happy to answer any questions you may have about our double glazing and other products. Immaculate Home Improvements are fully accredited with respected and recognised names. 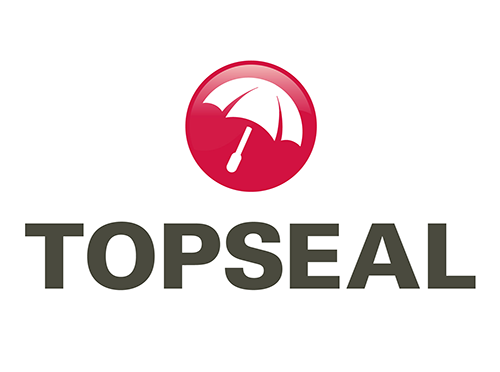 Including Topseal Approved, Which Trusted Trader, Checkatrade, FMB and Trustmark. We will complete all work to the best possible standard, as soon as possible. Once your order is complete and you are happy, we’ll work out the most suitable dates with you and keep you in the loop of any changes. Very happy with the lovely extension with folding doors out onto the garden. Excellent service. Work was completed several days before initial estimated time. Everyone at Immaculate Construction is very professional, courteous and helpful. Would be happy to recommend - in fact, already have done so! They was absolutely excellent and they have been back since. Very pleased with the work carried out. The company had been recommended to us by a previously satisfied customer. Very professional from providing estimate to completion of works. Would definitely use them again and would be more than happy to recommend them. We have always had them and have been happy every time. He did an amazing job and I was very happy with it. I have recommended him to friends already. I am very happy with my lovely kitchen and the finish the builders accomplished. The builders were amazing, happy, brilliant time keeping, extremely tidy and lovely with our large family. (This was very important to me as they were in our house for some time). The house was always mopped clean before they left and they turned up on time every day. Everything was completed to a high standard and nothing was too much trouble. I am very pleased with the work. The new kitchen extension looks brilliant. The team were great and easy to contact and approachable. I would recommend their service.